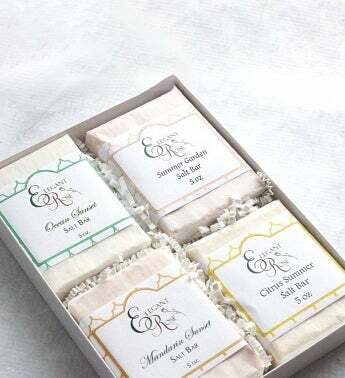 Stay refreshed year-round with the Summer Fun Gift Set, an assortment of natural handmade soaps that’ll have you feeling invigorated with Elegant Rose’s popular summer scents. Whether you share the summer fun or swap them in and out, these soaps are essential for a revitalizing bath. Stay refreshed year-round with the Summer Fun Gift Set.